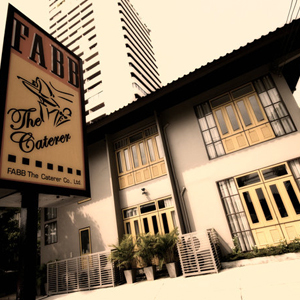 Fabb Café fits right into the Ekkamai neighborhood of renovated private homes. The "house" has ample parking and a garden area, there is also a separate bar and small stage for live jazz performances. Take traditionalists here, for European classics like Duck Confit, Veal Osso Bucco, and Barramundi with Wine. It can feel a bit serious compared to other eateries in the area, which isn't bad if that's what you're looking for.